People studied in eight different countries were contaminated by microplastics, confirming fears that pollution has entered our food chain, scientists have revealed. The tiny toxic shards have been found across the human food chain confirming experts’ worst fears. The worldwide study covered eight countries and each participant was contaminated by the degraded microscopic pieces. Ingesting them can damage lungs, poison kidneys, interfere with hormones and even travel across a mother’s placenta, research has shown. Now in a unique analysis they have been discovered in 100 percent of human stool samples from all over the globe – including the UK. 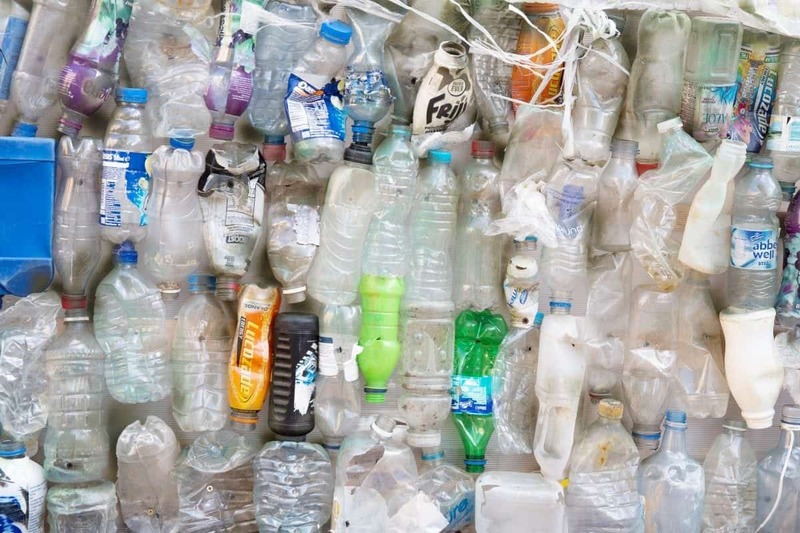 Lead researcher Dr Philipp Schwabl, of the Division of Gastroenterology and Hepatology at the Medical University of Vienna, said: “This is the first study of its kind and confirms what we have long suspected – that plastics ultimately reach the human gut. “Of particular concern is what this means to us – and especially patients with gastrointestinal diseases. “While the highest plastic concentrations in animal studies have been found in the gut the smallest microplastic particles are capable of entering the blood stream, lymphatic system and may even reach the liver. Presenting his results to a United European Gastroenterology conference in Vienna he said the findings will increase concerns about the amount of plastic we are eating and inhaling. It can be found in many foods and drinks from the sea salt on your meal to honey, shellfish, beer and even tap water. Recent studies have identified microplastics in them all. Even the air is filled with the minuscule bits. Earlier this year the Chief Medical Officer for England warned the health consequences were “unquantified”. Presenting his results to a United European Gastroenterology conference in Vienna he said each specimen tested positive for microplastics. What’s more up to nine different plastic types were identified including PP (polypropylene) and PET (polyethylene-terephthalate) used in food packaging, bottles and clothing. The other seven countries who took part were Austria, Finland, Italy, Japan, the Netherlands, Poland and Russia. Microplastics are small particles that measure less than 5 millimeters – large enough to see easily with the human eye although many can be microscopic. Most are small enough to pass through the digestive system without causing harm. But animal studies have shown they can carry and deliver pollutants into our bodies. They are used in various products for specific purposes as well as being created unintentionally by the breaking down of larger pieces of plastic through weathering, degradation, wear and tear. In the pilot study one participant was selected as a representative of each of the eight countries – keeping a food diary in the week prior to providing the sample. These showed they were all exposed to the health endangering particles by consuming foods wrapped in plastic or drinking from plastic bottles. None were vegetarians – and six consumed sea fish. The stools were tested at the Environment Agency Austria for 10 types of plastics following a newly developed analytical procedure. Of the nine different types – sized between 50 and 500 micrometres – PP and PET were the most common. On average the researchers found 20 microplastic particles per 10g of stool. Global plastics production has increased dramatically from the 1950s and continues to grow every year. For their many practical characteristics they are pervasive in everyday life and humans are exposed to them in numerous ways. It’s estimated, through pollution, up to five percent of all plastics produced end up in the seas. Once in the ocean they are consumed by sea animals and enter the food chain where ultimately, they are likely to end up on our plates. Significant amounts of microplastic have been detected in tuna, lobster and shrimp. It is also highly likely during various steps of food processing or as a result of packaging food is being contaminated with plastics, said Dr Schwabl. There’s been evidence microplastics have been infiltrating our bodies for some years. One study found them in German honey and sugar and another in shellfish and beer. They were identified in 16 out of 17 brands of sea salt – and even in Parisian air,. In most cases the levels were quite low – with the notable exception of shellfish. The average Brit could consume up to 11,000 pieces of plastic annually. On the other hands excessive consumers of salt, beer and honey will only ingest a few thousand particles a year at most from those sources – and we’ll never notice their fleeting passage. But these products come from very different places – indicating microplastics are far more pervasive than we might think. Plastic in the air brings new concerns as well as it can enter the lungs and spread through the environment more readily. Although the impact of microplastics on our health aren’t settled their ubiquity is a growing concern. It will likely only get worse, too. Humanity has produced some nine billion tons of plastic so far – most of which has ended up as trash. We’re on track to have thrown around 13 billion tons away by 2050 and that will only translate into more microplastics. An international team of researchers estimated in 2014 that there were around five trillion pieces of plastic floating in the ocean – weighing 250,000 tons. Bit by bit, it will break down and make its way back to us.